Via Megan McArdle, the Financial Times reports that credit default swaps may be responsible for forcing more companies into bankruptcy proceedings. 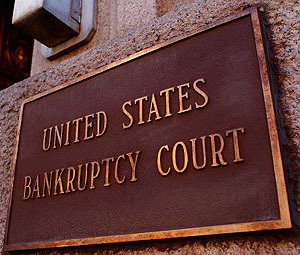 The problem, apparently, is that normally bondholders have an incentive to negotiate a deal that would stave off Chapter 11, since a judge in a bankruptcy settlement is likely to force them to take big haircuts on their debt. If they can do a little better in a negotiated settlement, they’ll play ball. ….Some creditors, including Citigroup, which held a small exposure to AbitibiBowater, hedged themselves in the CDS market, meaning their economic interest in the deal was different to lenders who had not bought credit insurance, according to people familiar with the matter. Citigroup declined to comment. Lawyers say CDS holdings were also a factor in the default and filing for Chapter 11 protection of General Growth Properties this week. Restructuring advisers expect many more such cases involving so-called fallen angels, or firms originally investment grade, since CDS was widely sold on such names. Presumably this happens because CDS buyers get paid off in the event of a Chapter 11 proceeding, but they don’t if they’ve negotiated the haircut themselves. This makes sense, since doing otherwise would align incentives too far in the other direction (i.e., bondholders would have no incentive to negotiate any value at all in a settlement if they’re going to be made whole regardless). Megan suggests that maybe CDS issuers should be allowed to join reorganization negotiations, the same way ordinary insurers are. Perhaps so, though that doesn’t help with the trillions of dollars of existing CDS whose terms are already set in stone. Sigh. Yet another problem for CDS fans to address.